Galaxy S5, the flagship smartphone from Samsung can now be updated with the latest yet official version of Lollipop 5.0. Yes, you have seen it right, in the due course of this article we will tell you on how you can manually apply the update in your device. Unfortunately, Samsung has a very bad habit of extending the firmware roll out when it comes to rolling out the updates to various countries for some unknown reasons. While Samsung hasn’t rolled out Lollipop 5.0 updates to most of the countries, you can very well update with this one which has been only pushed to Kazakhstan. There is no harm in applying this update as this neither will void the warranty nor will trip the Knox counter which is the fear of most of the users. 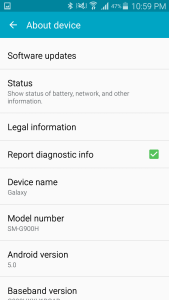 Note: This is the official firmware update for SM-G900H variant only and should not be applied to any other device variants of Galaxy S5 or else it might brick the device. So let’s zip through the detailed list of pre requisite instructions post which we will be checking out on what are the list of instructions which will help you update the device. While this method won’t erase the data present in your device. It’s highly recommended to create the backup of all the data so that just in an unlikely event if the data goes off, the same can be restored with the help of below steps. 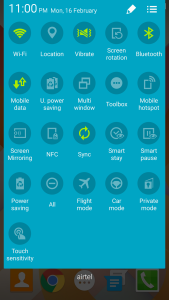 Navigate to “Settings > Developer Options > USB Debugging” to enable the same in your Galaxy S5. 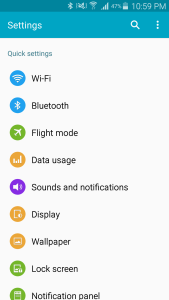 Just in case if you can’t see the Developer Options, head over to the “About Phone” to tap on the “Build Number” multiple times till the Developer mode doesn’t get enabled. Make sure that your phone is left with the minimum of 50% so as to make sure that your device doesn’t get turned Off in the middle of firmware update. Assuming that you have followed all the above mentioned instructions, head over to the next step where we have summed up the detailed guide which will help you update the device with Lollipop 5.0 Android OS. 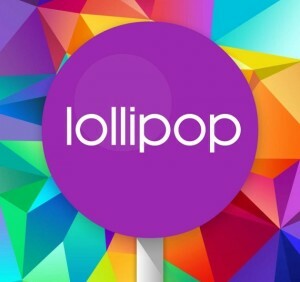 Download Odin and Lollipop 5.0 Android Zip Package (Alternate Link) from here to your computer. Unzip both the files to get Odin.exe and firmware file with .tar extension. Once done, you now need to Open Odin in your computer and turn Off your device so that it can be entered in Download Mode. 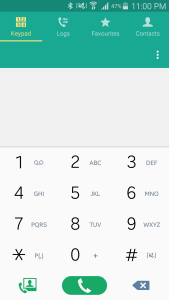 Galaxy S5 can be entered into the download mode by holding the Volume Down button + the Home key button (the middle button). While holding these both buttons, you need to switch ON your device. Open Odin in your computer and then connect your phone to the computer with the help of original USB cable. Click on “AP” to select the firmware file which ends with the .tar file. Once done, you now need to wait for the firmware to be updated. 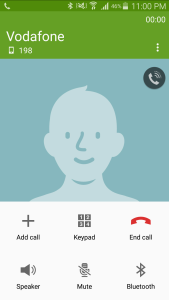 It will take around 3 -4 minutes for applying the update. Once done, the device will be rebooted. 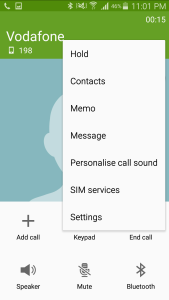 Navigate to the path “Settings > About Phone” to know the firmware version which is present in your device. 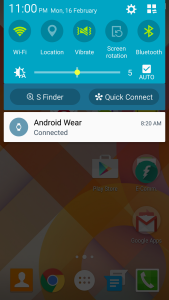 The firmware version will be mentioned as Lollipop 5.0. 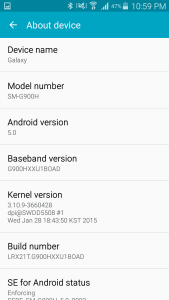 Model no – SM-G900H… Samsung started Lollipop update rollout in India from last week.. 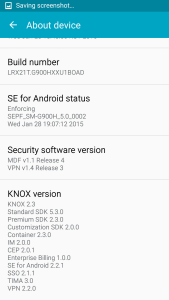 Check OTA or try with Kies… I have already updated via OTA…. 874.21MB size..